The BBC has announced that it intends to drastically reduce the number of television programmes it makes this year ahead of a total halt on production in 2017 because, in the words of Director General Tony Hall, it is now felt that they have 'made enough'. The BBC has been broadcasting television since 1932 and has an extensive archive of documentaries, dramas, comedies and entertainment programmes. According to a recent report, this is more than enough to sustain the organisation indefinitely without going to the expense of generating new material. In fact, the BBC is already adept at recycling content. For example, an eight-week run of QI can quite easily spawn half a dozen clip shows; medical dramas such as Casualty or Holby City often feature the same accidents filmed from different angles; and since 2006 every weather forecast aired by the broadcaster has been a repeat. However, BBC bosses are keen to stress that the reasons for this decision are not purely financial. The sad truth is that pretty much everything has been done already. There is, for instance, nowhere that David Attenborough hasn't already been and the World Wildlife Fund is concerned that his repeated visits to the same troop of gorillas in Rwanda could be viewed as harassment. 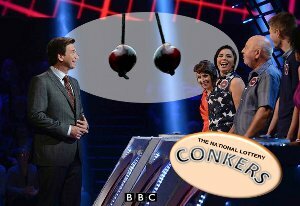 And new gameshow formats are becoming increasingly difficult to find, with National Lottery Conkers Live presented by Nick Knowles being the latest embarrassingly desperate format to scrape the bottom of the barrel. This is not to say that creativity will no longer find a home within the corporation. A great deal of talent is now being invested in repurposing elements of the BBC archive. 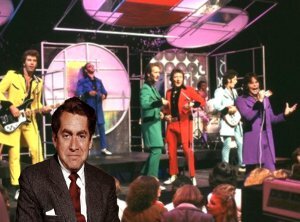 This has most recently been seen with vintage episodes of Top of The Pops in which CGI has been used to replace disgraced 70s DJs with more wholesome stars of yesteryear such as Eric Morecombe, Roy Castle and Max Bygraves. The edition in which Showaddywaddy were interviewed by Tony Hancock was a particular treat. In fact, the technique has been so successful that the intention is to extend this to other formats. Irene Handl and Harry Secombe have just been announced as contestants on this year's Strictly Come Dancing, Peter Sellers will shortly make his EastEnders debut and Sid James will be presenting the next series of Antiques Roadshow. 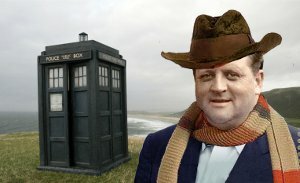 Inevitably, there has been much concern surrounding the announcement that Richard Dimbleby is to be the new Doctor Who. I've always thought that the best way of staying alive is 'not to die'. Some of the cheeses detailed may be entirely fictitious. Dancer mown dow by chorus line.